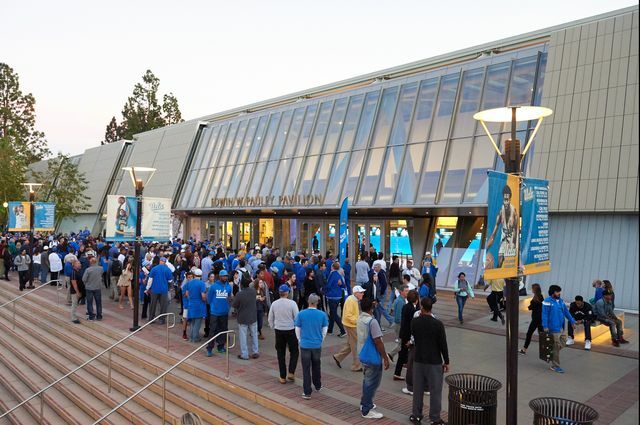 Some funds from the agreement will be directed toward preservation and improvement costs for Pauley Pavilion. UCLA has signed a long-term sponsorship with Wescom Credit Union that will generate increased revenue for the university to support events and programs that benefit UCLA students and alumni. 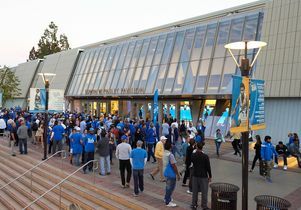 UCLA Campus Life and Recreation, UCLA Athletics, the UCLA Volunteer Center and the UCLA Alumni Association all will receive funding from the sponsorship. The Rose Bowl Stadium, the home of the UCLA football team, also benefits from the wide-ranging sponsorship. The sponsorship was negotiated in association with IMG, the marketing, media and licensing agent for all of the UCLA units involved in the program, with the exception of the volunteer center. Pasadena, California-based Wescom will pay UCLA, the Rose Bowl Stadium and IMG $38 million in sponsorship fees over the course of the 10-year term. The revenue will help fund events for students during move-in and welcome activities, as well as undergraduate and graduate student leadership initiatives, and campus recreation activities. In addition, the sponsorship will support several UCLA Alumni Association initiatives, including career networking and mentoring, diversity-based programming and student events such as the Beat ’SC Bonfire and Spring Sing. UCLA and Wescom also will work together to provide financial literacy and banking resources for UCLA students, staff and faculty, including a financial wellness program for incoming students. Wescom, a longtime sponsor of UCLA Athletics, also will establish a scholarship endowment fund for student-athletes. Additional elements of the agreement will establish a Wescom branch, staffed by UCLA students, in Ackerman Student Union, the campus student center. Additionally, five Wescom ATMs will be installed around campus. The sponsorship also will fund improvements to an Ackerman Student Union patio — which will be called the Wescom Dining Terrace for the duration of the agreement — including expanded seating, sun shades and rain protection.